One of the main problems in the modern world is plastic wastage. A multitude of laboratories around the world is committed to finding a way to resolve the problem. 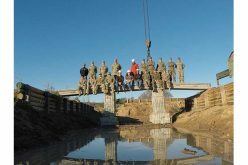 Researchers from the U.S. Army Research Laboratory recently came up with a new, innovative solution involving 3D printing. The solution consists of converting recycled polyethylene terephthalate (PET) plastic, the type of plastic found in water bottles, yogurt containers, and other recyclable waste materials, into 3D printing feedstock. The recycled feedstock can be utilized to print replacement parts for military vehicles, weapons, and equipment. 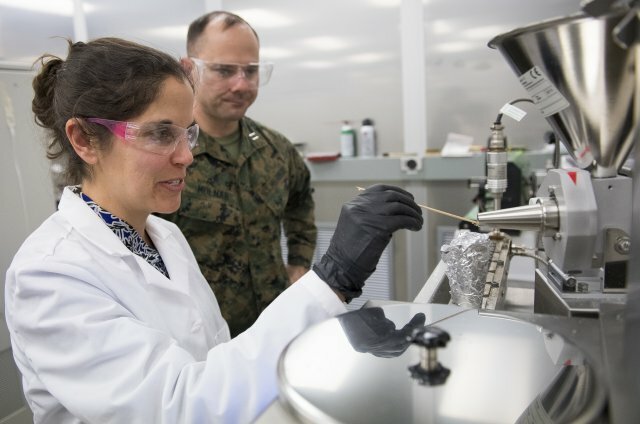 This solution would not only be a great way to reuse recycled plastic but would bring benefits to the military in terms of costs, supply chain efficiency and operations flexibility. “Ideally, soldiers wouldn’t have to wait for the next supply truck to receive vital equipment,” said Dr. Nicole Zander, Research Chemist at the ARL. Many operating bases are in fact already equipped with 3D printers but often have to wait for up to a month to receive the necessary feedstock to replace the parts they need. To transform the plastics into feedstock, the researchers used a process called solid-state shear pulverization. In this process, shredded plastic and paper, cardboard and wood flour was pulverized in a twin-screw extruder to create a fine powder. This powder was then melt-processed into 3D printer filament. “In terms of mechanical properties, most polymers used in FFF (fused filament fabrication) have bulk strengths between 30 and 100 MPA [megapascal]. Recycled PET has an average strength of 70 MPA, and thus may be a suitable 3d printing feedstock,” said Dr. Zander when asked about the properties of the filament. The researchers tested the recycled PET filaments by printing a vehicle radio bracket, a long-lead-time military part, which used approximately 10 water bottles and took about two hours to complete. 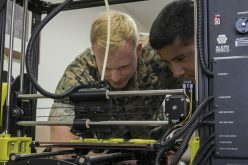 Researchers are now working with the U.S. Marine Corps to train soldiers on fabricating 3D printing filaments from recycled plastics and are planning to start building mobile recycling trailers.